Oooo YUM! This looks amazing!! I can almost taste them. I LOVE churros!! I always get them when I go to Portobello Road in Notting Hill (London). Wonderful. Thanks! I can’t wait to try these! They look amazing. No way! 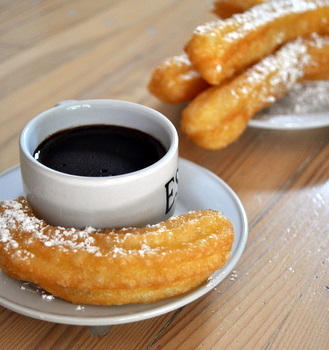 I was addicted to churros con chocolate when I lived in Granada – I went to Cafe Futbol practically once a week! I’ve been trying to recreate them ever since returning, but haven’t had any luck. I don’t know why I didn’t try looking at the Food Network! Thanks so much for posting the recipe! I’m so excited to make it (in case you couldn’t tell by all my exclamation marks)! Mmm….I can’t believe I only had this once during my 6-week study abroad stay in Spain. Thanks for posting the recipe! I never thought to make it myself. Does anyone have tips for a beginning cook when it comes to frying in oil?? Angela – My only tips are not to crowd the pan (do maybe 3 at a time) and use a deep pan so no oil splashes out. Other than that, just go for it because it’s not as hard as it looks! Thanks for presenting this authentic Spanish recipe. I look forward to making the Chocolate Sauce and serving it with other things too … or just enjoying on its own! Also, I REALLY like the new sophisticated look of your blog. I’m trying to figure out how to serve these at the Memorial Day cookout without having them get soggy before I get there? I want to try these so bad, I might just have to set up my frying station there! I made these at 9PM last night as soon as I saw the recipe – I served them with dulce de leche instead of chocolate. My husband is from Ecuador and he was in heaven 🙂 Thanks for the inspiration! I am Spanish but now I am living in Florida and I miss Chocolate con Churros. I actually made it a point to visit San Gines when I visited Spain in 2008 and especially sought out this recipe when I returned home. I haven’t tried it yet, but I have fond memories of that lovely afternoon in Madrid enjoying a late afternoon snack of “churros y chocolate” and looking up at the latticed balconies and hanging flowers in the apartments surrounding the shop:) Can’t wait to give this a try after all this time! We used to have churros con chocolate at 4 a.m. on the way home from the fab nightlife in Salamanca; they were soooo good for soaking up all the alcohol and preventing a hangover. I miss them. So pleased to see someone has made the traditional chocolate sauce for a change. Well done you. I’ve not made Churros for ages. Mainly due to living in spain they are so easily available for us it’s not worth making them. However, the chocolate sauce in many establishments leaves a lot to be desired LOL. This sauce makes a fab fondue too when served with marshmallow & fruits as well as churros in a large pot for sharing. I spent a few weeks in Spain over the spring and loved the churros con chocolate – can’t wait to try my hand at making them now! can you make the churros a day or two before you want to serve it? I remember eating this when I was just in elementary school, I still remember that day when my aunt made it for us. 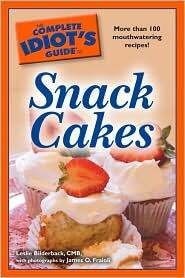 I’m glad I found a recipe here, I’ll be making this soon in memory of her. Thank you. We’ve just tried your recipe. We’re all speechless. The only thing you could hear in the house was mmmm!!!!! My 3 children asked me to thank you on their behalf. Thank you, thank you, thank you and congratulations from Greece. I’m so happy to find a wonderful recipe!! I’m doing a poem about them for a class, but now I want to try them at home this weekend! Looks like I’m going to the store soon! 🙂 I spent one college semester in Valladolid and I miss this snack very much! Thanks so much! Is it ok to make a podcast out of your recipe? The podcast will be in greek, but be sure that I’ll mention you and your blog. Would it taste good with cinnamon on the churros as well? It’s hard for me to imagine churros without cinnamon. 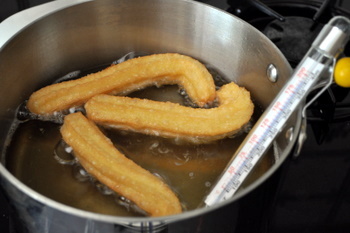 I sprinkle my Churros with a litle bit if cinammon sugar; they taste gorgeous!! I found this on Pintrest the other day and decided to make it. And wrote about it on my own blog, linking to yours. Thanks much! Every Sunday my friends and I get together to watch football. Each week we have a different “theme” for our food and this past week’s theme was Mexican Food. 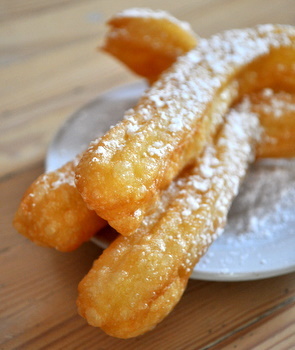 Everyone requested churros, but I assumed they were really hard to make…. then I found this recipe! They were delicious, surprisingly easy to make, and everyone loved them – they were the first thing to disappear off the spread of food! Just be very careful when they are in the hot oil – I was making these in my Spanish club after school years ago and one blew up in my face – hot oil & all! Thank you so much for finding and posting this!! I was in the midst of looking for a recipe and yours came up. It looks so good and quite easy to make. 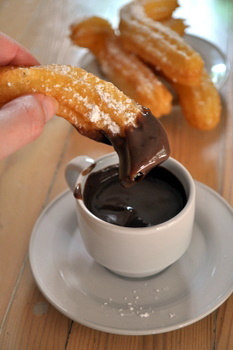 Don’t you just LOVE churros con chocolate? They are my favorite.